In Santa Pola, just 10 minutes from the international airport of Alicante, the shipyards have an area of ​​more than 30,000 m2 and facilities dedicated entirely to the construction of yachts up to 122 feet. The entire production process is carried out solely and exclusively within the shipyard, always attending to the needs of each shipowner. The prototypes of each boat are made with the latest CAD-CAM technology. Using a 5-axis milling machine, the largest in Spain for the production of boats, models of size 1: 1 designed to the millimeter are made. Later, through processes created in the shipyard, these models become molds for the construction of the boats. 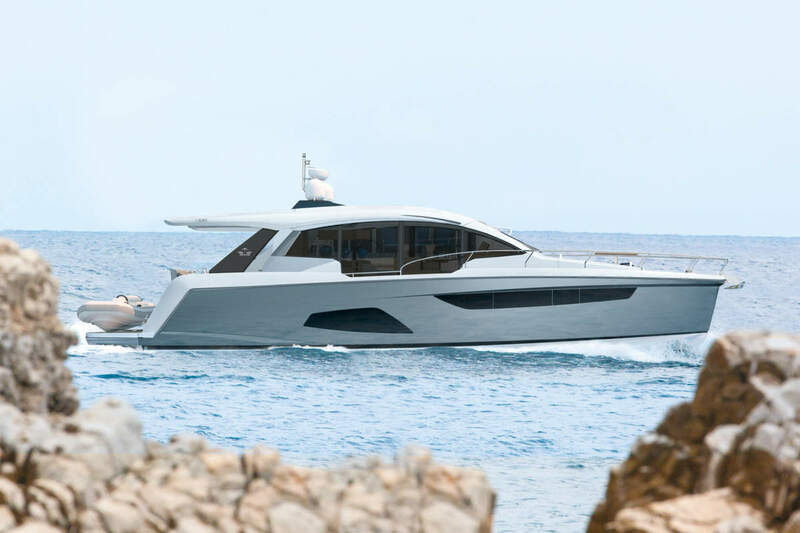 Astondoa has ships dedicated exclusively to the realization of polyester, where all the parts of the boat are manufactured separately using the latest techniques such as the construction of parts by infusion and vacuum. The unmistakable style of the range as well as its elegance are already a guarantee in the world of luxury yachts, knowing how to combine the wide spaces and the innovative design adapted to the tastes of each customer, doing as is customary in the shipyard of each unit a unique and unrepeatable piece. The interior decoration is the work of the prestigious studio “Cristiano Gatto Design” which has adapted each unit to the personal taste of the owner, creating an extraordinary environment with solutions adapted to the highest demands of Astondoa customers. The engine room of the 100 ‘Century houses two engines 2x MTU 16V2000M86 2,186 HP, which allow the boat to travel at a maximum speed of 24 knots, or at a cruise rate of 20 knots. There is the option of installing two M96 Motors as well. Fuel capacity: 10,000 l approx. Water capacity: 2,500 l approx. Building an Astondoa boat requires passion and commitment. Each boat is designed 100% to the taste and needs of each customer, no two Astondoas are alike. After a long experience in the sector, Astondoas deliver on what they know best: large, tailor-made boats. Their ambition is not to manufacture thousands of ships, that is a purpose already surpassed. The 100% satisfaction of few but very demanding clients makes their work incredibly niche and needed in a very competitive industry.